Since 2002 Bill has managed our Bedford Hills mill shop, where he supervises a staff of seven tradesmen who design and build custom cabinetry and trim exclusively for our clients. “Having our own mill shop allows us to get millwork to a site exactly when needed. Brenner Builders is communication-driven, and that means we get things done quicker, and we get them right the first time,” says Bill, who studied carpentry, metalworking, computer aided design (CAD), and other construction trades at Oswego State. An effective and thoughtful problem solver, he brings years of experience in fabricating and installing detailed millwork to the table when he works hand-in-hand with our clients and their architects. 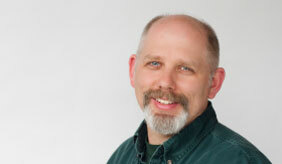 Bill is an NAHB Certified Green Professional.